I seem to be always asking myself what can I do with my left over herbs from my fridge or garden? Use this super fast method for excellent dehydrated herbs to use at a later date. When microwaving your herbs, wash them carefully, then pat dry to remove all extra moisture. Then, place herbs in a single layer on a paper towel, cover with another paper towel. Place in microwave and heat for 2 minutes on high. 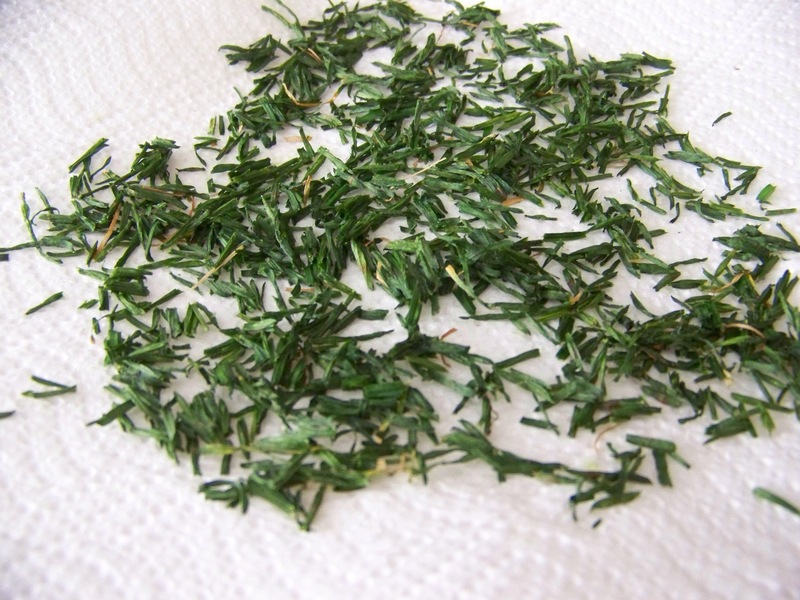 Turn paper towel and microwave for another 1 minute or reheat in 30 second intervals until herbs are dry and brittle. The microwave method is radically more expedient than using the oven or air drying, which take several hours. Make sure to watch the herbs carefully and dry them in small increments, you don’t want them to be tinder for a microwave fire. Before storing your herbs, ensure they are completely dry and check their container condensation the following day. If there is even a small amount of moisture, discard the herbs, because it’s not worth the risk of mold exposure and start again. I promise you so much better flavor than the stuff you buy in jars at your local grocer from who knows where.